I bake a lot of cakes. It’s kind of my thing. I even have a T-shirt that says, “Real Girls Eat Cake.” Because I want people to know that the reason I eat so much cake is that I’m real, and not because I have a problem. Although I may not be fooling anyone but myself with that shirt. 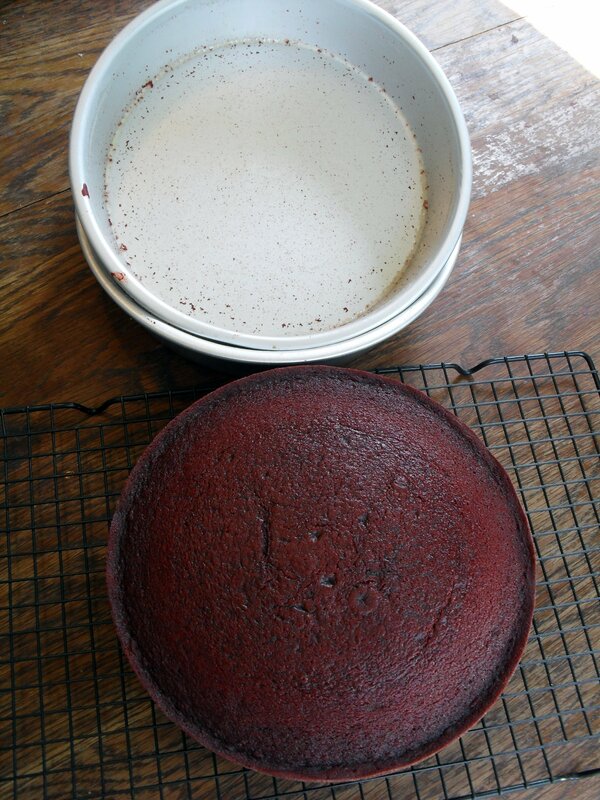 Anyway, because of all the cake-baking happening in my kitchen, I usually also have a can of Baker’s Joy or a bottle of Wilton’s Cake Release in my pantry because they make such an easy one-step job of greasing and flouring my cake pans, which nearly every cake requires. 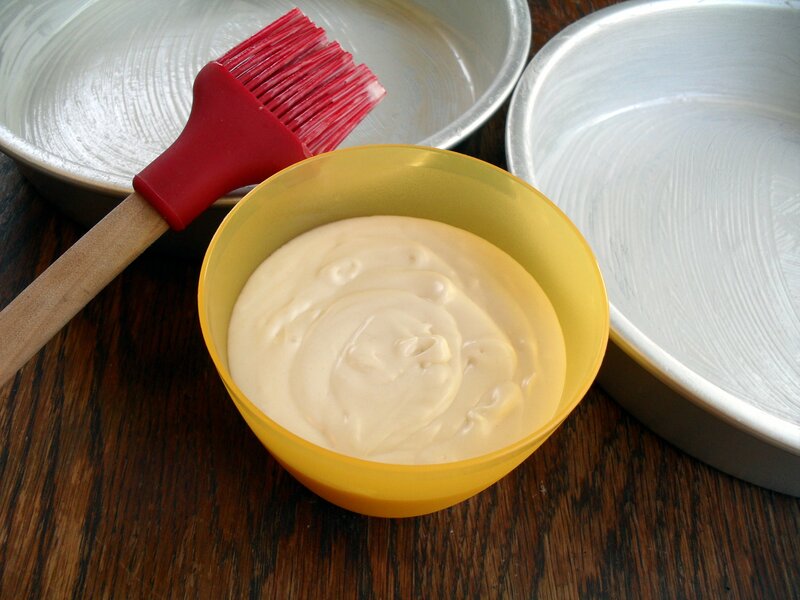 With a push of a spray nozzle or a swirl of a pastry brush, my pans are covered in seconds and there is never a pile of flour laying around my trashcan. However, I can be kind of a tightwad, so when my friend, Suzie, sent me the link for a miraculous recipe to make my own “Cake Release”-type product, I was overjoyed. And let me tell you, it works SO much better than Baker’s Joy. And just as good as Wilton’s product at a fraction of the price. I’ve never had a cake slide out so easily, except when using Wilton’s Cake Release! It is very shelf-stable and easy to make, so I encourage you to whip up a batch to keep on hand for your own baking projects. Whisk thoroughly until everything is incorporated and smooth. Store in airtight container at room temperature. 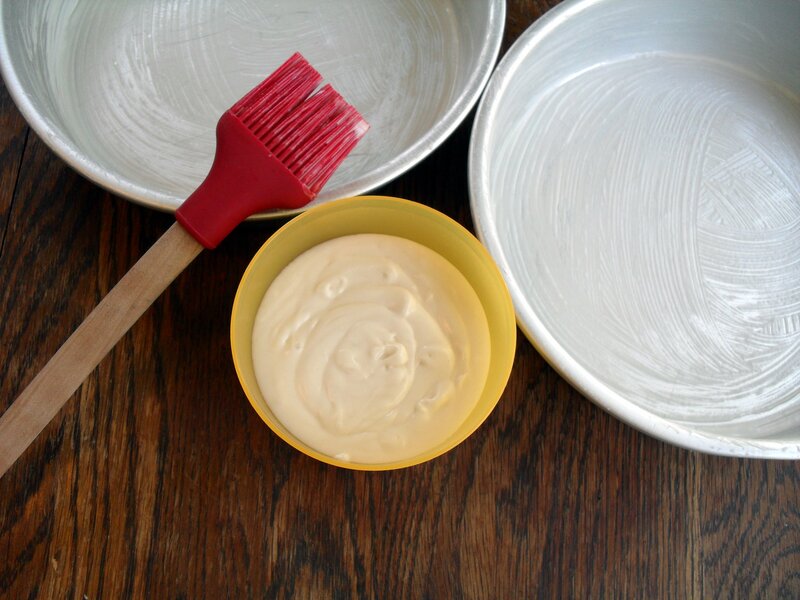 To use, dip a pastry brush or impeccably clean fingers into the mixture and spread a thin layer over the bottom and sides of pan(s) for any recipe that calls for “greasing and flouring” your pans. *Note: you can make any size batch you’d like, just make sure all amounts of each ingredient are equal to each other. Posted in Cake & Frosting, How-To & DIY, My Favorites, Tips & Tricks and tagged Baker's Joy, DIY, do-it-yourself, homemade, miracle pan release, recipe, Wilton Cake Release. Bookmark the permalink.